published by Major & Knapp Engraving, Manufacturing & Lithographic Co. 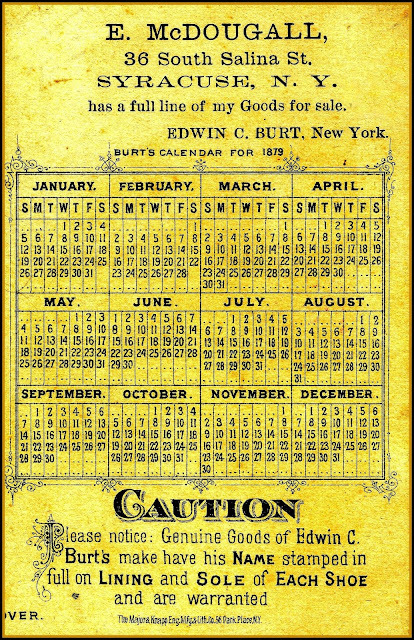 According to Wikipedia, "Edwin C. Burt (July 1818 – May 23, 1884) was the owner of Edwin C. Burt & Co., a manufacturer of shoes, and director of the Hanover Insurance Company." 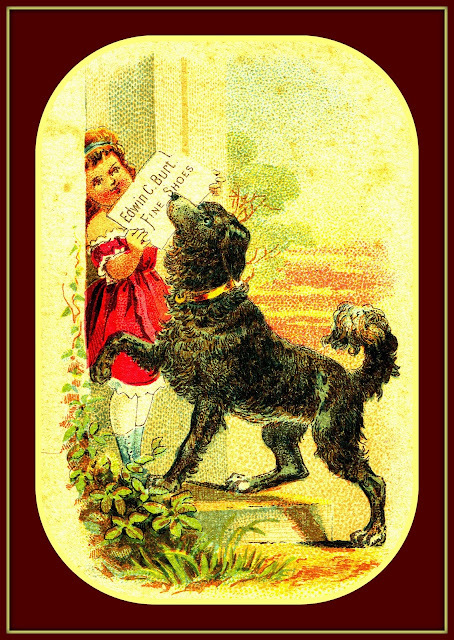 Additional info is on page 171 of the Earl J. Arnold Advertising Card Collection. 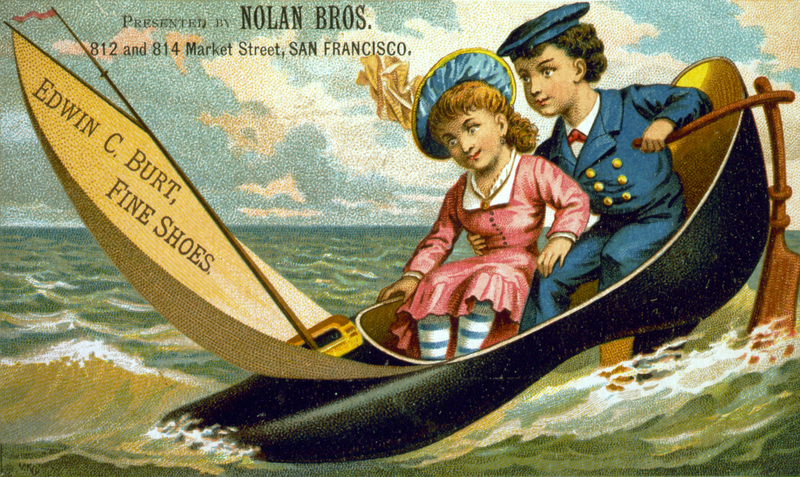 Nolan Bros. of San Francisco was a wholesaler of a fairly well-known line of women's shoes. Evidently, they were waterproof with accessories. near the site of Nolan Bros.
1877 - Pope Manufacturing Co. organized by Albert Pope, 45 High Street Boston. begins at Weed Sewing Machine Co., Hartford, CT.
Clark's (see index for more info) take on the "highwheeler" bicycle could have been a promotion for bike helmets! This card did not appear in the original scrapbook, but is a subsequent addition to the Arnold Collection. 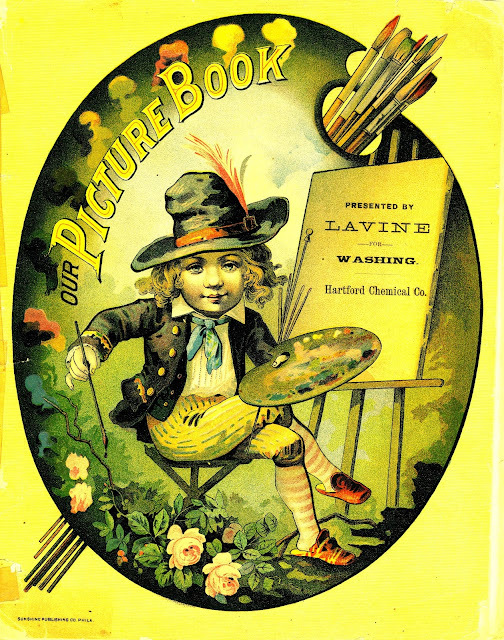 Lavine Soap was manufactured by the Hartford Chemical Works, Hartford CT. More cards can be viewed on page 57 of the Earl J. Arnold Advertising Card Collection. The back of the previous card. 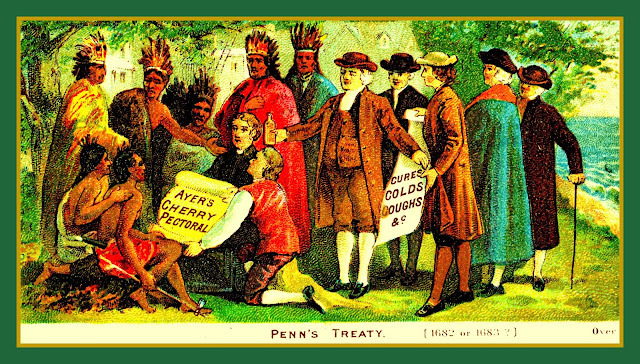 The New England Historical Society presents an excellent biographical summary of James Cook Ayer, who (surprise!) 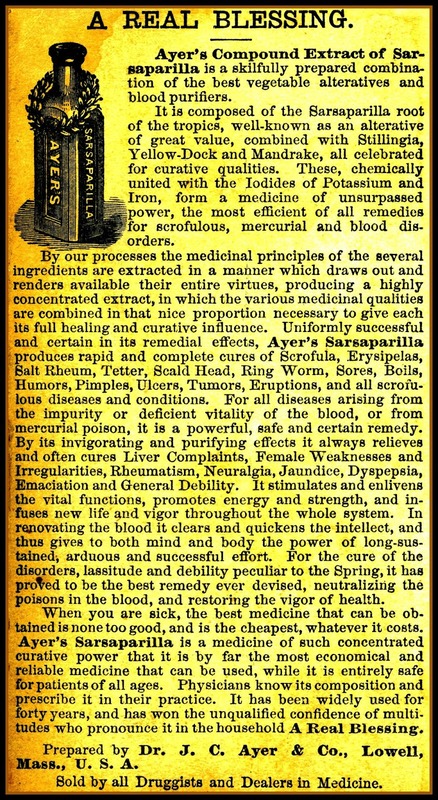 was more interested in advertising than medicine. 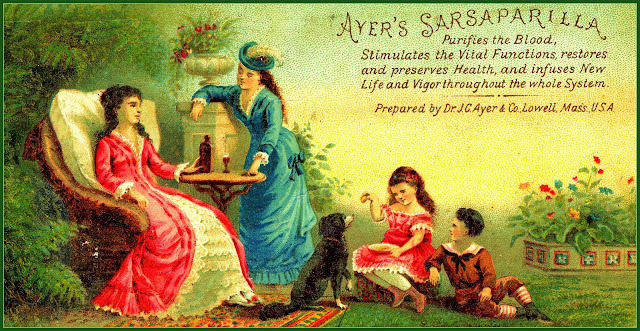 According to the Hagley Museum and Library, Ayer's Sarsaparilla "was nothing more than a simple beverage of sweetened, herb-flavored water...little different from the drink we now call root beer." Note that this is a "Non-alcoholic revised formula." Prior to the Pure Food and Drug Act of 1906, alcohol might have been included.